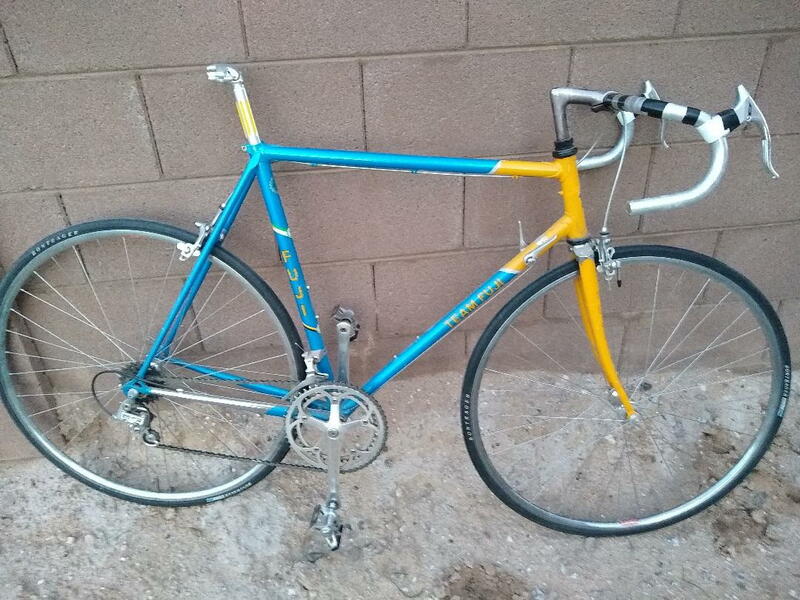 I begrudgingly decided to sell my 1986 Team Fuji. It's just too tall for me. 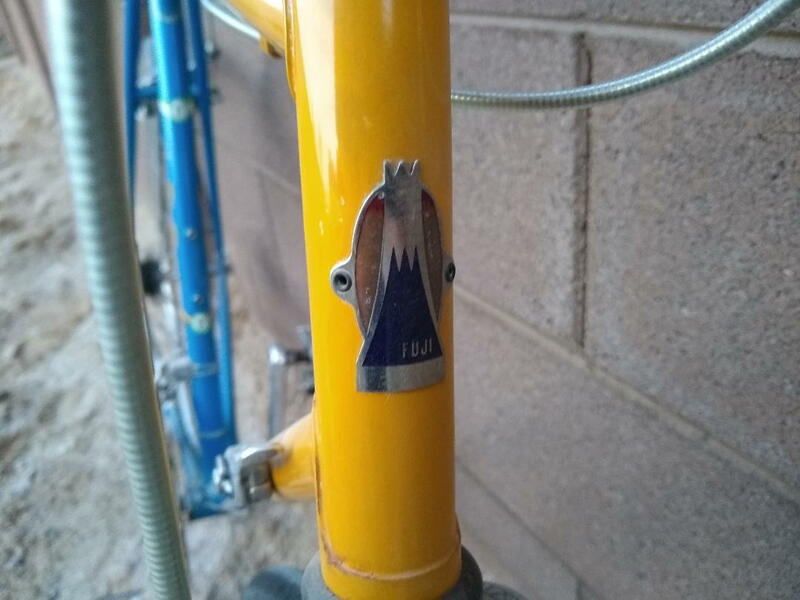 I'm pretty sure it's a 55 cm frame, but could be a 58. Over all she's in good shape. she was stored outside before I got her and sustained a bit of sun damage. The original seat and brakes hoods were ruined. 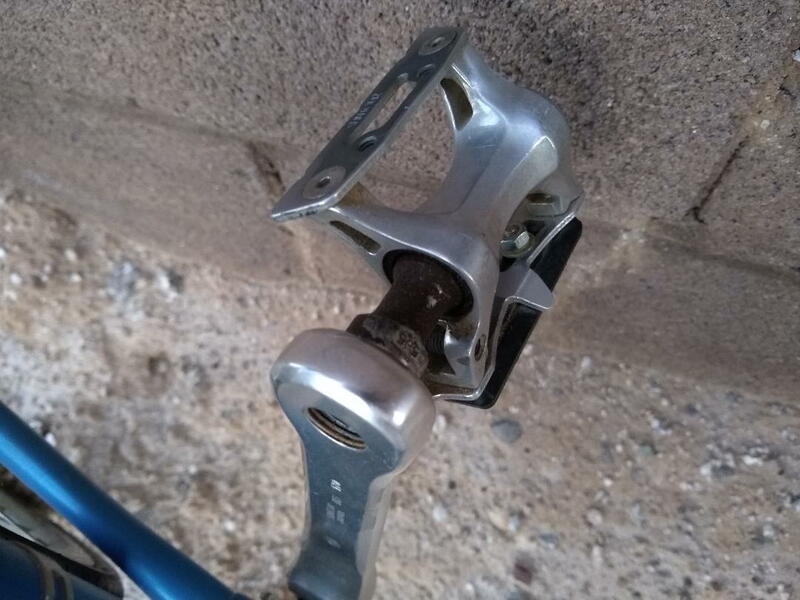 The axle on the pedals have a bit of surface rust. I have the cages too. 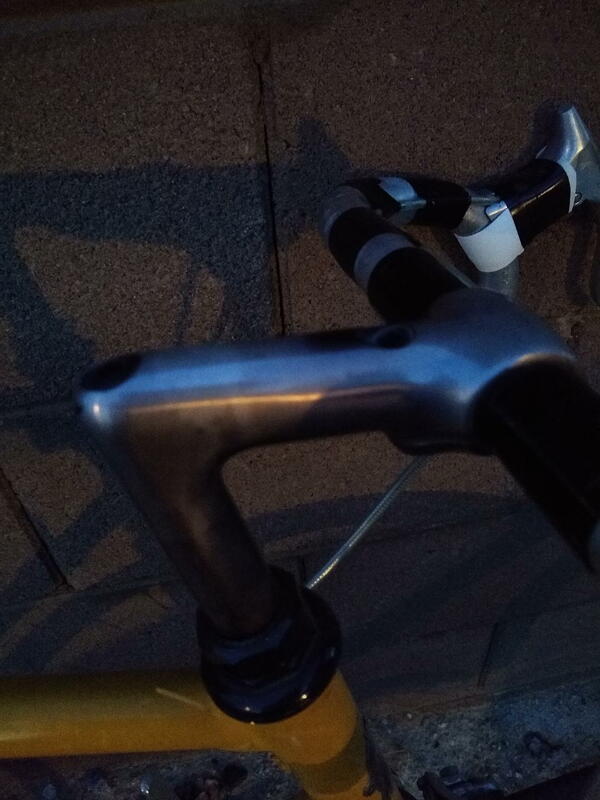 The stem, paint and decals were sun damaged. I tried to photo the faded and bad spots. Also the Suntour printing on the components is faded. 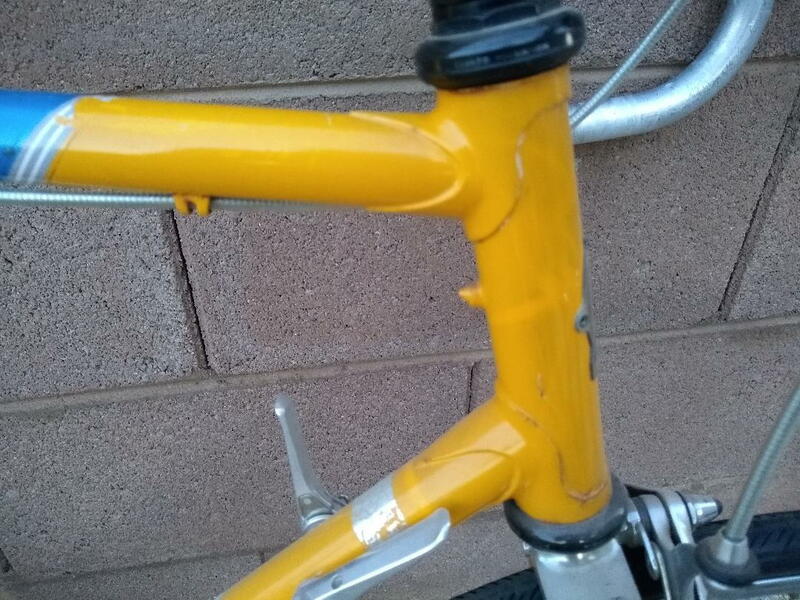 Other than the sun damage the frame is in good shape with a slight bit of rust, and no dents. 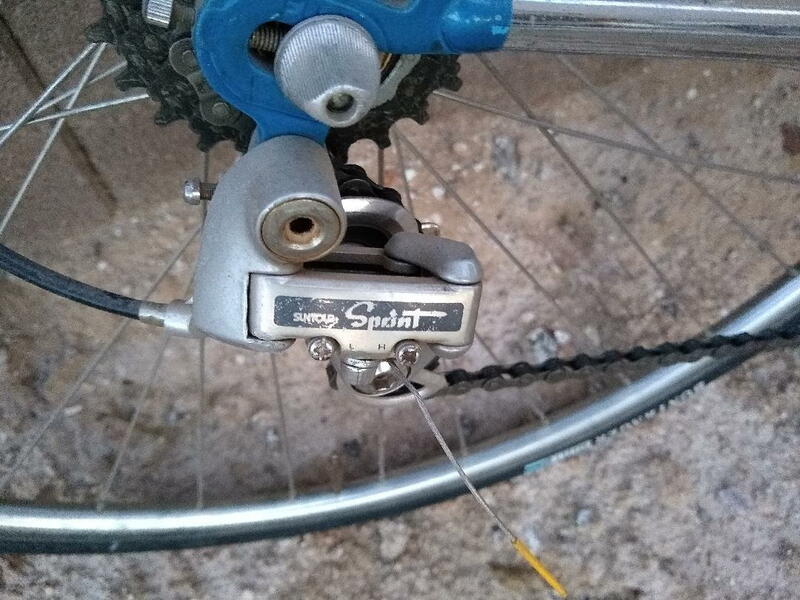 She sports her original Suntour Sprint group, seatpost, handlebars and wheels. It rides fantastic. 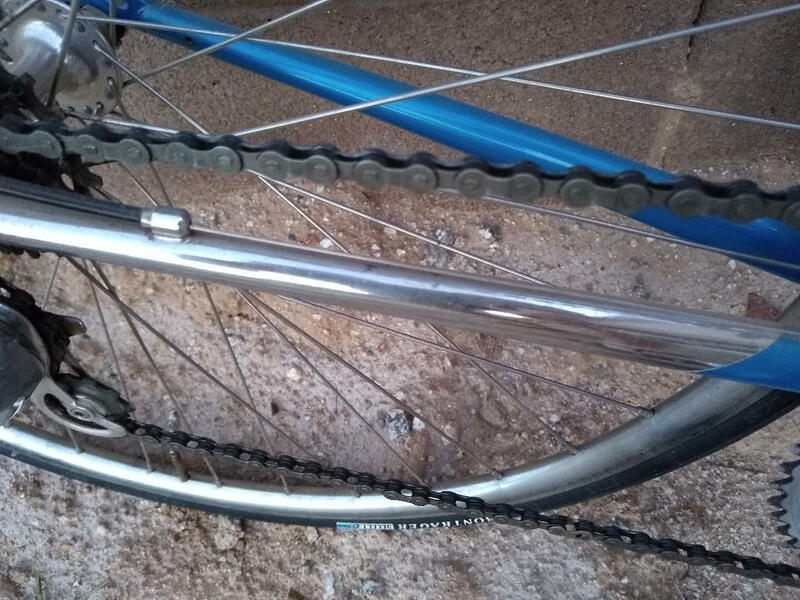 I rode 56 miles in the Hotter Than Hell in Wichita falls a couple years ago in its current condition (well with a seat and bar tape). I'd like to sell locally. Plus I'm not sure how to go about shipping, and I'd like the buyer to see it before purchasing. I live in Metro Phoenix, Arizona. I can also send more pictures. I wasn't sure how many I could upload. I'm asking $300.00. Definitely looks more 57/58cm than 55cm. GLWS! Howdy, Measuring center of Crank bolt to roughly center of top tube is 22". That should be 55.88 cm. The vintage Fuji catalog has a 55cm, and 58cm size. I'm guessing 55cm then? I think it's a 58. Measure from center of crank up the center line of the seat tube to right where the aluminum seat post starts and the blue seat tube ends, which should be about level with the top of the top tube. 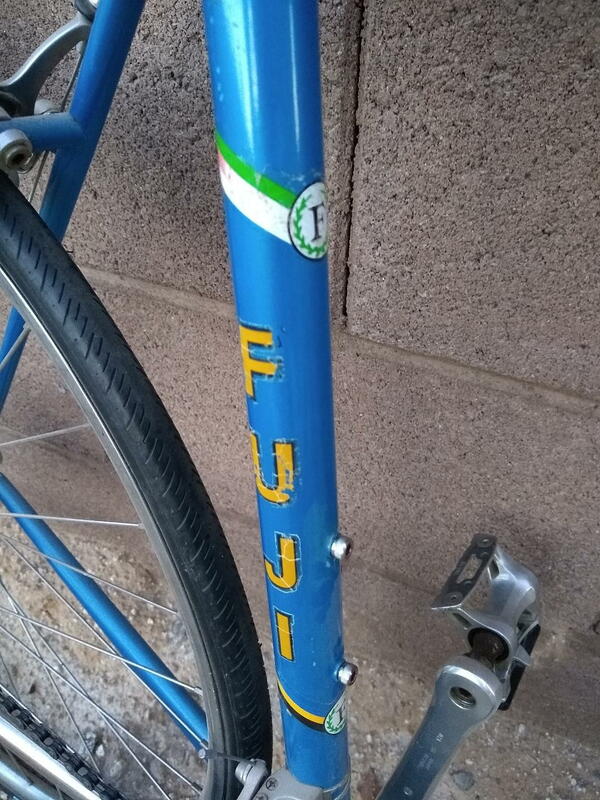 If that is how Fuji measures, then it's a 58".